We live in a world of huge social, informational, political, cultural and technical complexity and learning to cope with, adapt to and work productively with such complexity is one of the great learning challenges we face in the modern world. How we prepare people for this challenge, and how people prepare themselves, is the wicked problem that unites students, teachers and others who support learners, and leaders in education. It also unites parents who try to ensure that their children are prepared for the harsh realities of the real world. Our formal systems of education are only one part of the solution to this problem. We need to encourage and help people to make better use of their everyday experiences for developing and fulfilling themselves. This website provides a vehicle for sharing some of the ways in which I have tried to examine and resolve this wicked challenge. It charts the pathway I have taken from the late 1990's when I began to appreciate the challenge as I was involved in creating policies for UK higher education while working for the UK Quality Assurance Agency. Prompted by a concern that the outcomes-based model of education we were promoting seemed to be an inadequate representation of the holistic development needs of people and society, I began to explore three themes - creativity in higher education, personal and professional development, and teacher creativity and organisational innovation. The results of these explorations are documented on this website. Lifewide learning and education views the wicked challenge of preparing people and enabling people to prepare themselves for a lifetime of learning from the perspective of each individual designing and living their own life. An experience that incorporates formal education as one component of a much richer set of experiences that embrace all the forms of learning, development and achievement that are necessary to sustain a meaningful and fulfilled life. The book provides a rationale, underpinning philosophy, research base and practical examples of learning partnerships that enable lifewide learning to be recognised and valued by a university or college. It will appeal to anyone who is interested and involved in helping students maximise the learning and development they gain from their lives while they are studying in higher education. However, while the ideas and practices have been developed in a higher education setting they can be readily adapted to other educational contexts. Proceeds from sales of this book help fund the work of the Lifewide Education Community. The lifewide education community has been established to help give meaning to these ideas by enabling people to share their knowledge, experiences and practices, encouraging research and scholarship, and providing a Lifewide Development Award to enable people to gain recognition for their commitment and capability to developing themselves through their own life. Learning for a Complex World by Norman J Jackson is licensed under a Creative Commons Attribution-NonCommercial-ShareAlike 3.0 Unported License. Based on a work at http://www.lifewideeducation.com/creativity.html. All the materials on this website are made available free of charge in the interests of encouraging and supporting the spread of lifewide educational practices. If you would like to make a donation to the work of the Lifewide Education Community please click the Paypal button. All donations no matter how small are welcomed and appreciated. This chapter sets out a rationale for why higher education should be more concerned with the creative development of people. Four propositions are outlined that, if adopted would enable higher education to encourage and support students' creative development more effectively than is currently being achieved. The nature of everyday personal creativity is considered drawing on the work of Richards (2007) and Rogers (1961) and the 'four-C model of creativity' proposed by Kaufman and Beghetto (2009) is used as a framework for understanding the significance and influence of a person's creativity. The situations we encounter or create in our daily life is considered to be the focus for personal creativity. 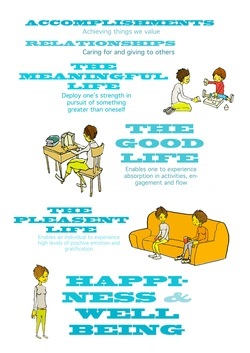 This way of thinking can be related to theories of learning and personal development that are holistic, action- and capability-oriented, self-regulating and self-actualising. 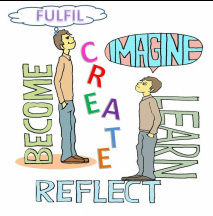 It is in acts of self-actualisation (that include but go far beyond formal education) that individuals' personal creativities are revealed. Arten Sen's democratic idea that our capability represents ‘the real opportunity that we have to accomplish what we value’ is connected to a visualisation of personal engagement in the different spaces and places we occupy everyday of our life. By adopting a lifewide concept of education to embrace all the spaces and places for learning, personal development and self-actualisation in a person's life, higher education could do much to further the creative development of the students it serves and help build a more creative society. 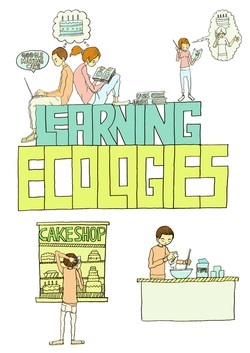 This chapter explores the idea of learning ecologies through a selection of narratives describing the process through which individuals learnt and developed, and achieved their goals and ambitions. An individual's learning ecology comprises their processes and set of contexts, relationships and interactions that provides them with opportunities and resources for learning, development and achievement. Organised educational settings create their own ecologies for learning into which learners have to fit themselves but outside these settings self-created learning ecologies are an essential component of the way we learn and develop in work, family and other social settings. They are the means by which we connect and integrate our experiences and the learning and meaning we gain from our experiences across the contexts and situations that constitute our current lives. They are also the means by which we connect the learning we have gained from experiences in the past to the present. Learning ecologies are therefore of significant conceptual and practical value to the practice of lifewide learning and education. Learning has always been an ecological process, and it is therefore surprising that the concept has received scant attention in worlds of educational policy and practice. This chapter concludes by addressing the issue of how universities might encourage learners to create their own learning ecologies and how they might recognise learning, development and achievement gained through these processes.